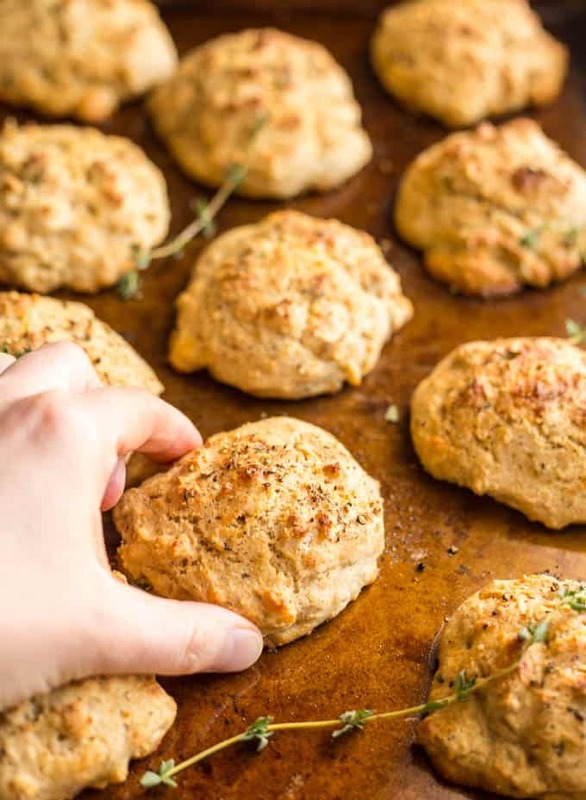 Parmesan herb drop biscuits are a quick and easy savory biscuit that’s perfectly fluffy and tender and requires no kneading or rolling! 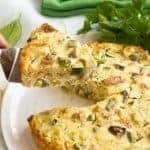 Great for breakfast, brunch, or with soups or chili. I am really excited about this weekend! First, it’s Cinco de Mayo and it’s on a Saturday so helloooo margaritas! Second, some friends are having a brunch party that morning and it’ll be good to catch up with lots of people I haven’t seen in a while. Third, we’re going to the PGA golf tournament here in Charlotte and have a babysitter booked all day during the day on Saturday. Helloooo adult time! 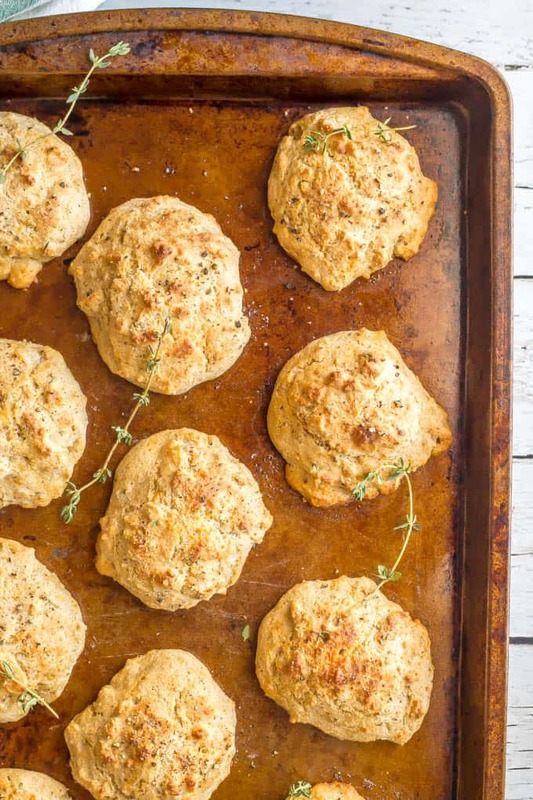 Today though, I’m bringing you what I hope to be the first of MANY drop biscuit recipes. 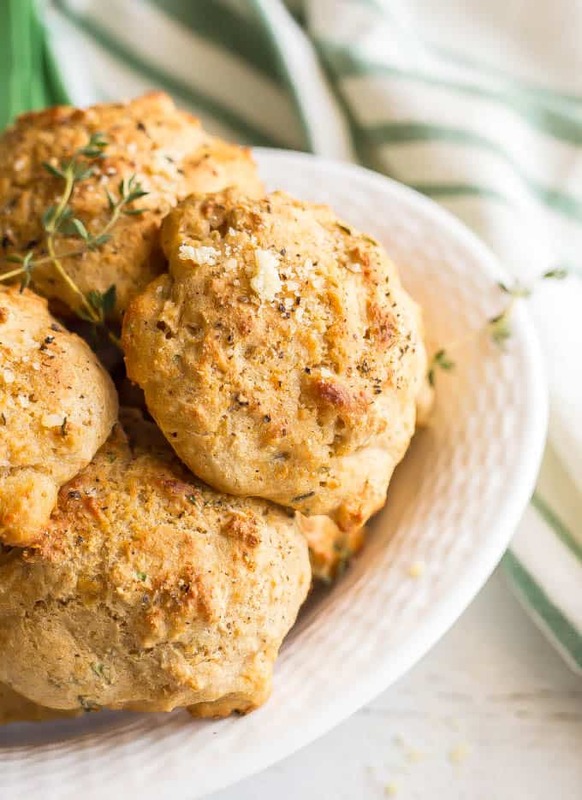 These are my Parmesan herb drop biscuits and they are a lovely, light and delicate version of drop biscuits that are perfect when you want something a little more on the sophisticated side. But, back to today and these glorious beauties. So, drop biscuits are kind-of like the cheater’s version of homemade biscuits, except you are still making a completely from-scratch biscuit that you can feel good about. No tubes here. 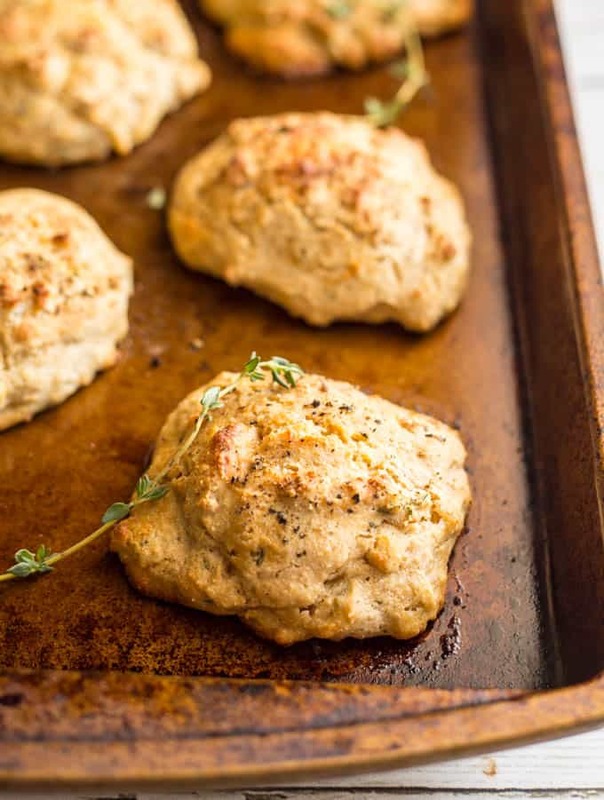 But still, you’ll feel sneaky in the best of ways when you serve up these gorgeously tender, soft, puffy biscuits that required zero kneading, zero rolling and zero fuss. 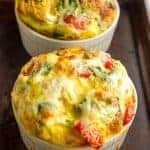 Just mix them up, plop them on the pan and put them in the oven. Voila! You are a biscuit maker! 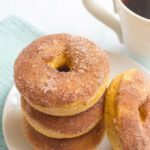 And if you are thinking these are just for breakfast or brunch, oh no. They can be used in so many ways! 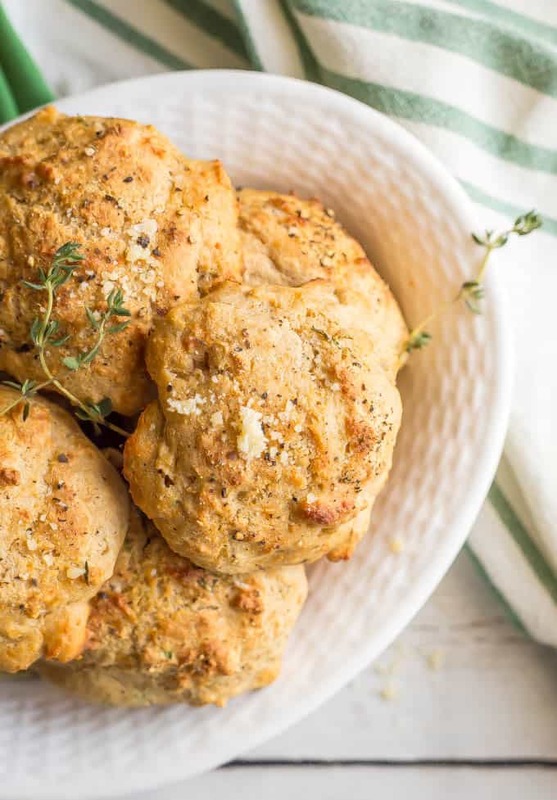 Today’s Parmesan herb drop biscuits lend themselves fantastically to a sophisticated brunch — such as Mother’s Day coming up — but they are also great for Easter or any holiday. It’s OK, you can go on and drool. 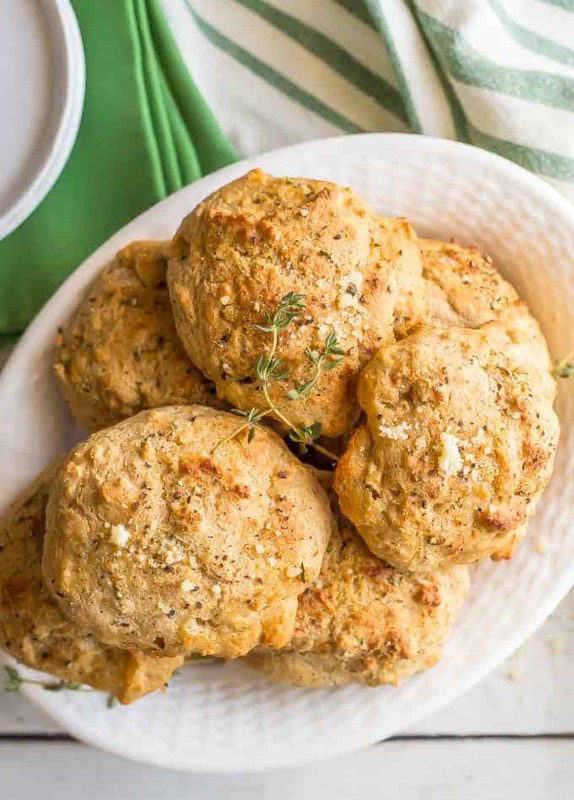 I hope you give these Parmesan herb drop biscuits a try for your next brunch gathering, soup night or just anytime you need a little biscuit fix. I’m from the South. I understand needing biscuit fixes, so just go on and make you some. 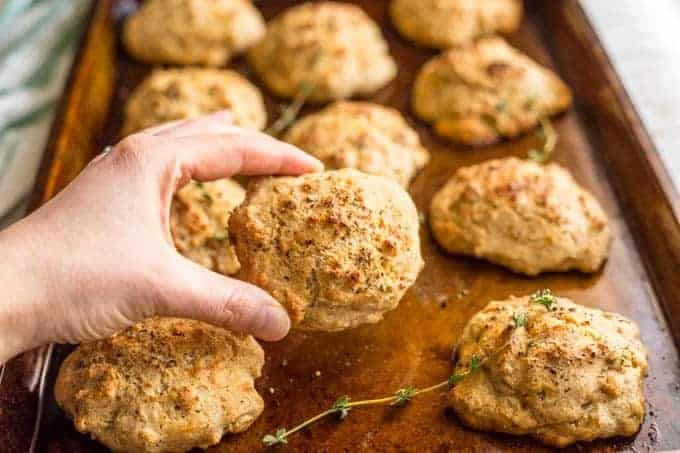 Parmesan herb drop biscuits are a quick and easy savory biscuit that’s fluffy, tender, and requires no kneading or rolling! Preheat oven to 400. Spray a baking sheet with cooking spray and set aside. 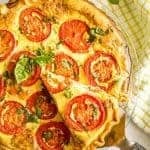 In a large bowl, combine flour, Parmesan cheese, baking powder, thyme and salt. Stir in the milk until batter is just combined. 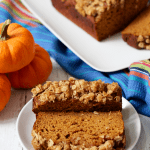 Drop large spoonfuls of batter onto the baking sheet to form 12 roughly even biscuits. 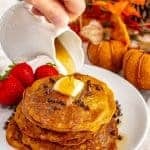 Sprinkle the tops of each biscuit with cracked black pepper and Parmesan cheese. Bake at 400 for 12-15 minutes until golden brown and cooked through. Be sure you don’t overwork the dough so it doesn’t get too tough before you bake the biscuits. You want the dough to just come together.